Bonus Fun Fact: This song was featured in the films The Thing in 1982 and A Vampire In Brooklyn in 1995! Jeff Beck came up with the drum beat for this song! Tomorrow is Halloween Comicfest! Don't know what Halloween Comicfest is? 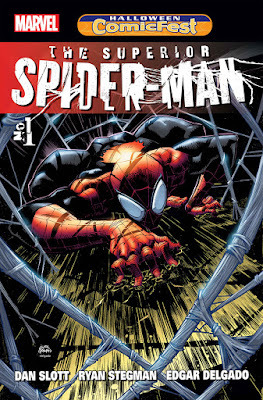 Here is a quick rundown: In 2012 Diamond Distributors started the Halloween Comicfest event. 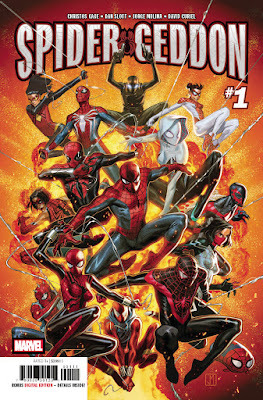 This event is similar to Free Comic Book Day. Kids dress up in there costumes and are given free comics at their local comic shop. 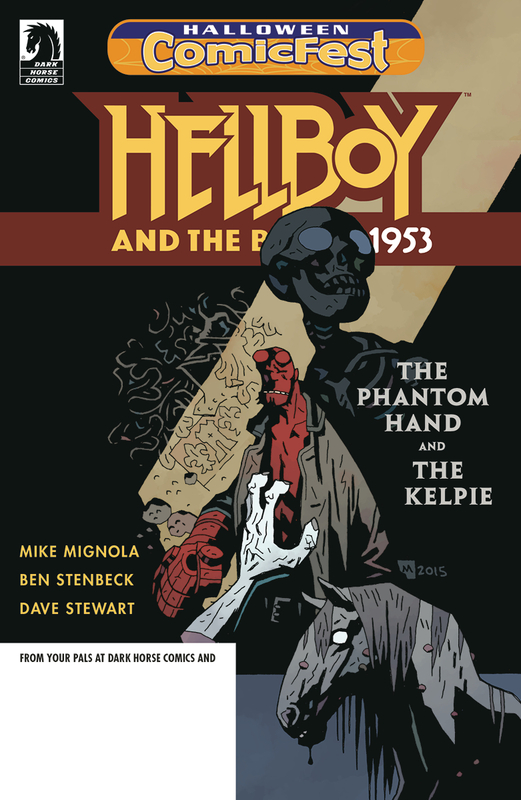 Even if you are not a kid trick or treating for comics is still allowed for the adult collectors. 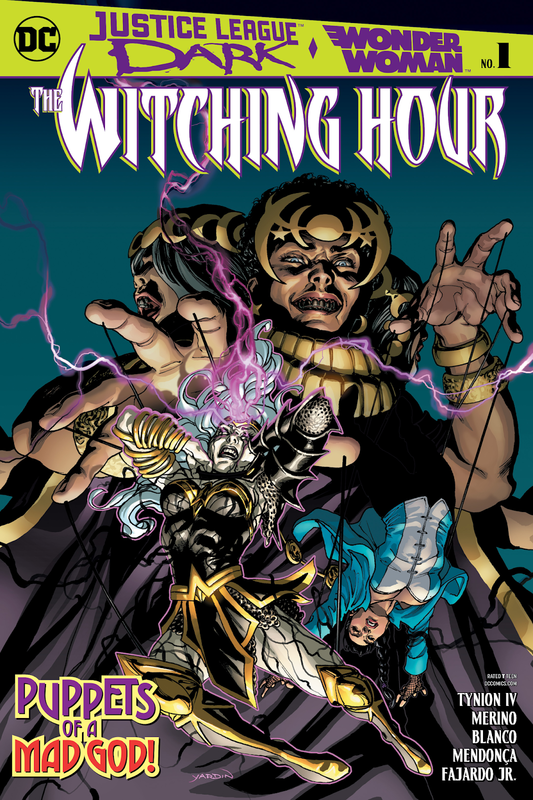 Each comic given away has some sort of Halloween twist to it and range in ratings from Mature to All-Ages. My kids and myself love this promotion, not only because it gives them an extra day to go out and show off their costumes but because it is FREE! My family will be attending and these are the comics I am most excited to pick up! Got an appetite for HORROR? 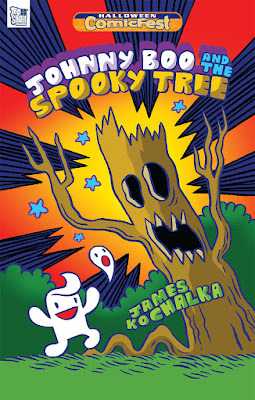 Then this is the perfect book to kick off your Halloween celebrations! Jughead Jones is a werewolf, and Reggie Mantle has fallen victim to Jughead's monstrous ways. 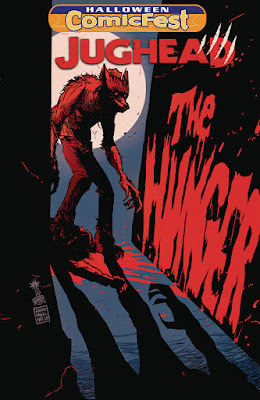 Now Betty Cooper: Werewolf Hunter along with Archie Andrews are hot on the trail of Jughead. 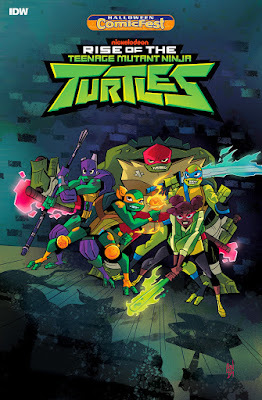 The Teenage Mutant Ninja Turtles reinvent the meaning of "fast food" as they chase after the diabolical Meat Sweats who has just stolen a pizza truck! A lot of comic shops go all out during this event and put on costume contests, invite special guests and giveaway fun prizes. 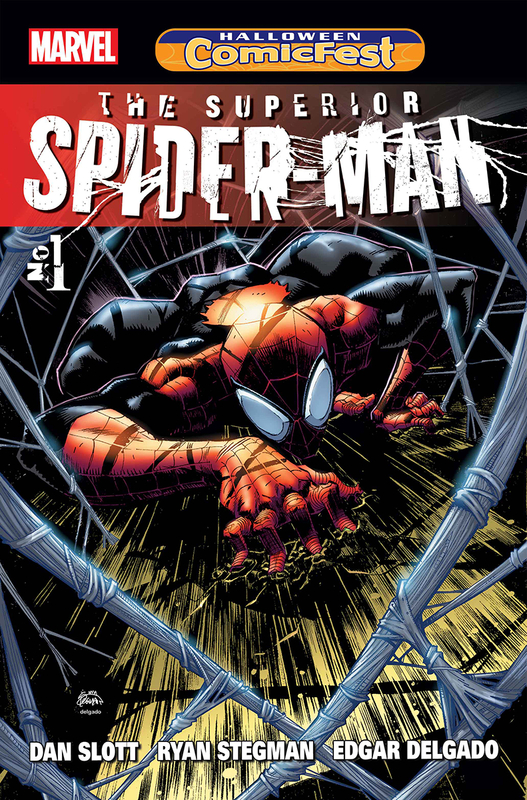 My comic shop will just be giving away the comics, which is still okay by me. 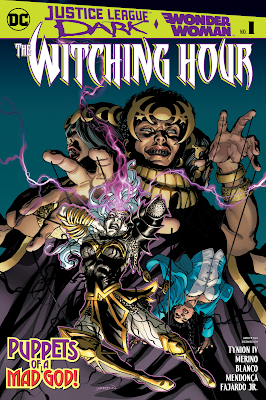 To see if your local comic shop is holding an event, check Halloween Comicfest news or see all of the comics being given away this year visit www.HalloweenComicfest.com! Bonus Fun Fact: This song features Rod Serling's opening narration from the Twilight Zone episode "The Good Life"! 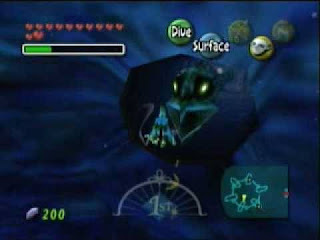 Things that scared me as a kid! The 80s were a great time to grow up! We had incredible toys, entertaining cartoons and some of the best movies ever were created during this time. Also, this was a time where studios could get away with marketing mass murderers, movie maniacs and nightmare creatures to kids under the age of 10! These horror icons were so well know on the schoolyard that you could just mention a first name and people instantly knew who you were talking about. Jason, Freddy, Egon. These were all popular figures of the time. 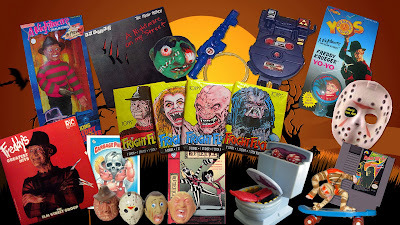 With so much scary stuff integrated into an 80s child's life, you would think it would have desensitized us a little, right? Even though these characters lost their edge when they began to appear as dolls, yo-yos and even on their own records, there were still some things that scared the hell out of me when I was young. Here are 3 of those things that made it hard for me to sleep at night! 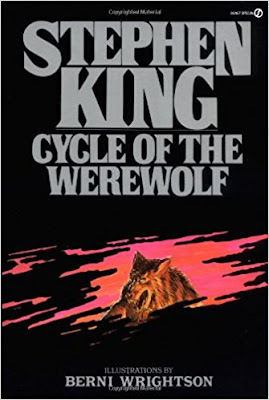 My dad was a huge fan of Stephen King and anytime his books would come out, he would pick it up. The covers of the majority of these books were visually striking and I would look at them with wonder. Wondering what the story was about on the inside. I was still into books that contained lots of pictures in them, so a King novel with 300 pages of words didn't really interest me. Then my dad bought Cycle of the Werewolf! 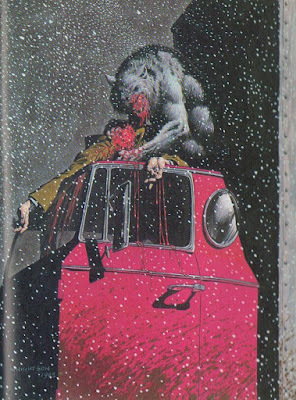 This was a Stephen King book with freakin pictures! I did not have to wonder about what happened in this book because the beautifully horrific pictures by Wrightson told me all the gory details I needed to know. These pictures were terrifying to me. Never before had I seen so much horror in one image. It really stuck with me, but I never actually read the book. It is now on my must read list! These cards didn't really scare as much as gross me out as a kid. I really liked Garbage Pail Kids and collected the hell out of them when I was younger, but for some reason the grotesque artwork on these FLEER produced cards really creeped me out. 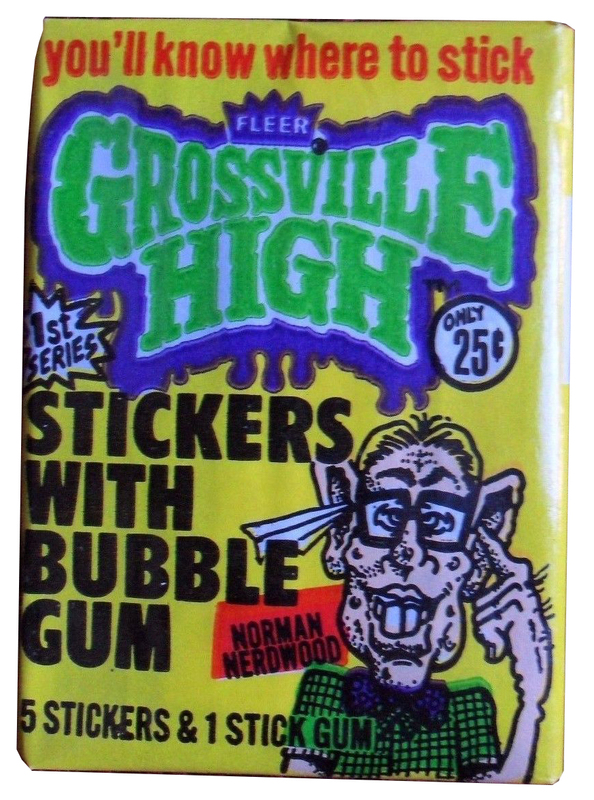 I remember putting these stickers onto some of the things around mine and my brothers room when we got them just like we did with our GPK collection. Then one night I was tired of looking at them and got out of bed specifically to tear them off our stuff. I mean, these cards are no worse than GPK but the artwork just seems a little too out there for me. Check em' out for yourself and be the judge. Pretty crazy right? Now when I look back at them they aren't really that terrible, but things look a lot different when you're 8 years old! There is a reason though, why Garbage Pail Kids are seen as great nostalgia and no one really remembers Grossville High. Iloved the Ghostbusters movie when it came out, but there was always one scene that made me close my eyes. 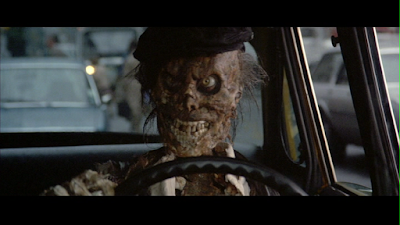 That scene was with the Taxi Driver Ghost! For some reason, none of the other supernatural beings in this classic movie scared me at all. The drooling, snarling, sharp toothed terror dogs? Nope! The crazy, floating, purple Library Ghost? Nope! 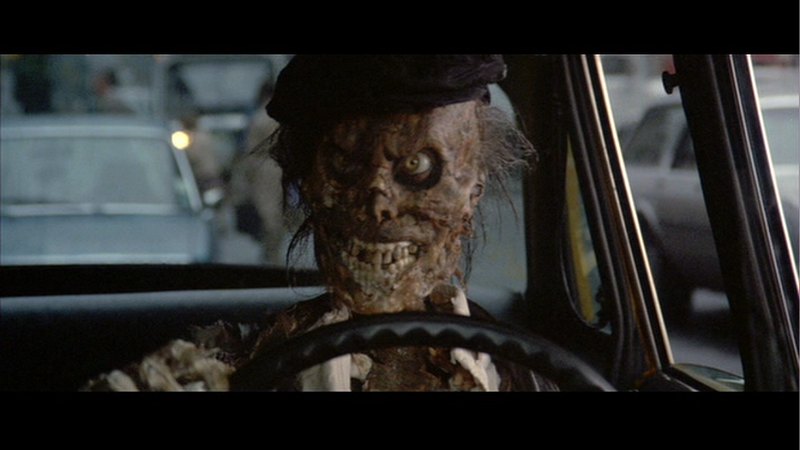 The freakin' taxi driver ghost that is on screen for about one second? YUP! This game came out in 2000. I was still a teenager and had played survival horror games like Resident Evil, Parasite Eve and Silent Hill by this time with no problems at all. I even enjoyed them, but there was something about these giant, glowing eyed sea snakes from Majora's Mask that gave me the chills. Maybe it is the dark underwater setting or maybe it's the way they jump out at you. Whatever it was it kept me from completing this classic entry in the Legend of Zelda library. We all have differing opinions on what is scary, creepy or even terrifying. So, what kind of things scared you as a kid? Let me know in the comments below. And if you want some more creepy Halloween content, check out this post I wrote about a few more things that kept me from sleeping at night including Freddy, Aliens and that damn Tarman! 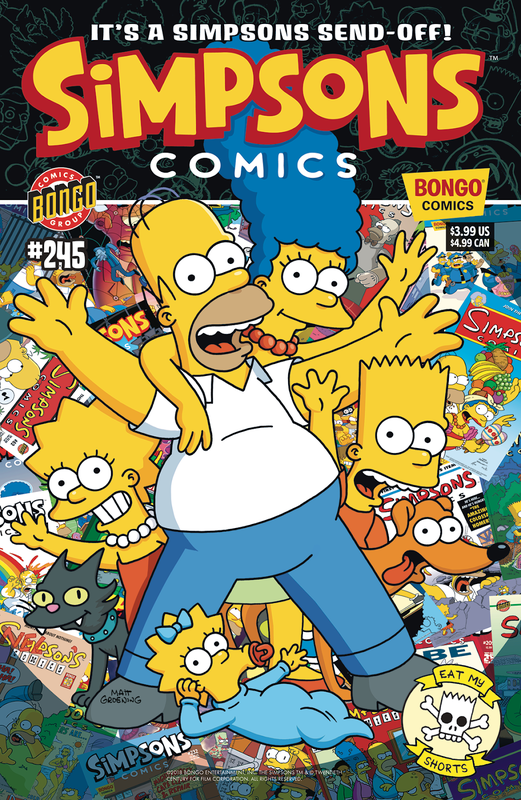 It's a Simpsons Comics send off! 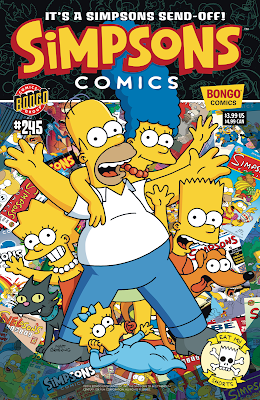 Join Bongo for the final issue of Simpsons Comics in a series finale that's been 25 years in the making! When Lisa brings home a lovable new pet from All Creatures Great and Small and Cheap, it seems like the perfect gift. But this new addition to the family turns out to be much more than anyone could have expected, and soon Springfield itself is in danger. Only one person can save the town from total disaster, but they're too busy taking a nap! 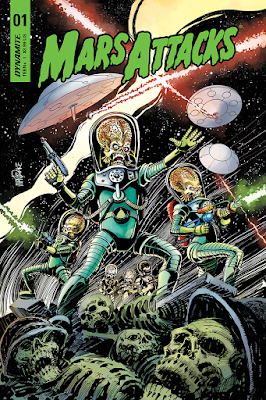 It's a tale of twists, turns, irradiated missteps, and surprise cameos that will have your head spinning, bosom heaving, and wallet screaming to be emptied! A heartfelt series farewell from your pals at Bongo. We hate to say goodbye, so let's just leave it at "Smell ya later!" Bonus Fun Fact: Rockwell is the son of Motown Records legend Berry Gordy. Michael & Jermaine Jackson provide background vocals on this hit song! Every October me and my wife hold a "Scary Movie Marathon". This year is no different. We try to pick a new movie or show each day that gets us ready for the Halloween season. This year the majority of movies we watched were on Netflix. Here is a short list of some of the films we watched and what I thought of them. Please don't be upset if I didn't like something you liked, we all have our own opinions and tastes in horror movie cinema. 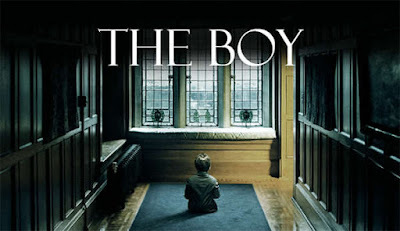 The Boy is the story of a Montanan named Greta who is looking to escape her abusive past by taking a nanny job in England. Upon her arrival at the house, she discovers that she will be watching over a doll by the name of Brahms. She needs to dress him, feed him and teach him. It all seems weird, but she takes the job and strange things begin to happen around the house and they all link back to the inanimate doll of Brahms. She finds out that Brahms died years ago and begins to believe the doll is a vessel for the spirit of the boy. Up to this point I was with this film. It was a little slow, but I wanted to see the payoff. Unfortunately the twist the makers of the film tried to surprise us with at the end of the movie did not pay off once the doll is smashed by Greta's former lover. It felt sloppy and lazy to me. This movie really did have a decent premise, and had a few scares in it, but ultimately it did not satisfy. I would skip this one. Once the credits began to roll in the intro to the film, I should have known what I was in for. 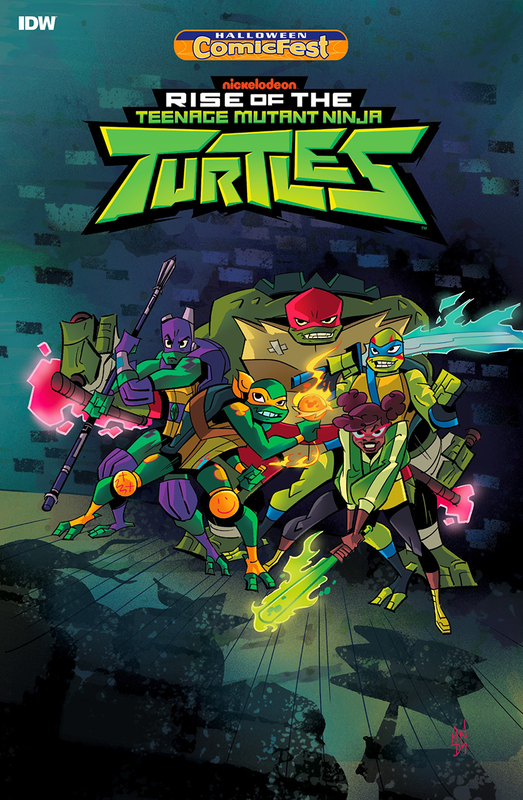 One of the production companies for the film was WWE Studios. Yes the same studios that bring us Monday Night Raw is now in the business of making horror movies. To theirs and the other producers credit though, this was not a terrible movie. In short, two siblings find a mirror that they believed was the cause of their parents going crazy and killing each other. They want this mirror so they can prove their parents weren't crazy psychos, but victims of the mirrors powers. The siblings set up cameras, traps, etc to record their findings. In the end though their exposure to the mirror causes them some problems. The acting was pretty good. The cast Karen Gillan (Jumanji: Welcome To The Jungle, Guardians of the Galaxy) and Katee Sackhoff (Battlestar Galactica). The writing was okay and the visual effects were solid. I wouldn't say this was a great movie, but maybe once you get to the end of your Halloween movie viewing, maybe give this one a chance. Let me start off by saying, I had no idea this movie was a supernatural thriller! Everytime I would scroll by it on Netflix all I would see was an image of Mr. James Franco and his amazing mustache. I knew it was a bank robbery heist film, but didn't know it included hauntings and paranormal twists. Needless to say, I was very pleasantly surprised by this flick! A family of bank robbers decides to knock off a local bank to pay off their debts, but man did they pick the wrong place. When they find the main vault only has a few thousand dollars in it, a bank employee tells them of another vault in the basement that contains millions. He didn't tell them though that this vault was the scene of a brutal robbery in the 80s! 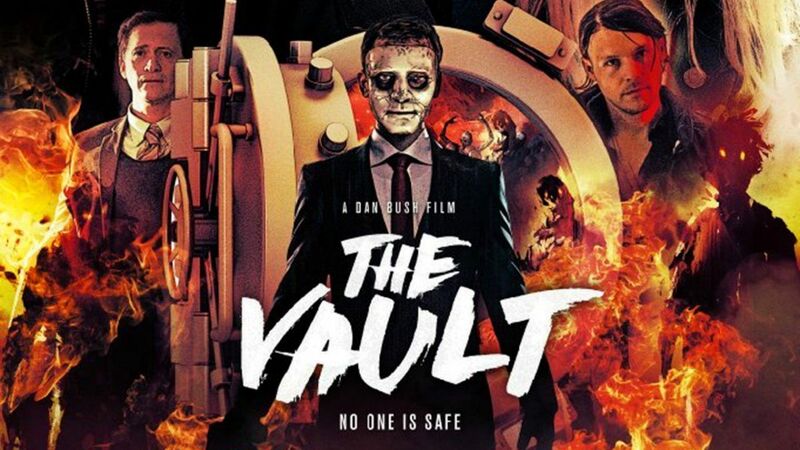 The robbers attempt to get the loot, but they each ultimately end up becoming victims to the paranormal specters that roam the old vault. The twist at the end caught me off guard and there was just enough scares and gore to keep me satisfied as a horror movie viewer. I definitely recommend this one for your holiday viewing! Do I really need to explain why this movie made my list of films to watch during Halloween? 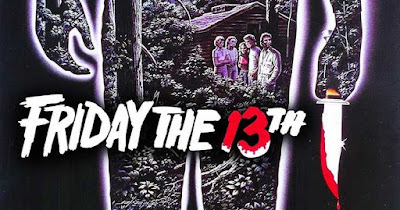 I have seen Friday The 13th a million times since I was a kid and it still does the trick for me every Halloween. Plus, as I've mentioned a hundred times on this blog already...I grew up in the town where parts of the movie were filmed, so it gives me a little glimpse of my home. If you have not seen this slasher/horror classic yet, do it! Bonus Fun Fact: This song contains references to Nintendo, Shaft, Twilight Zone and Chucky from Child's Play! Question: In 1996 you recorded "Hands of Death" with Alice Cooper for an X-Files compilation album. Did that kick off you musical relationship? Rob Zombie: Before that I had met [Alice Cooper] in '94. I presented an award to him and then I believe in '95 he came on stage one time and played with us, with White Zombie. That's when we first did anything. 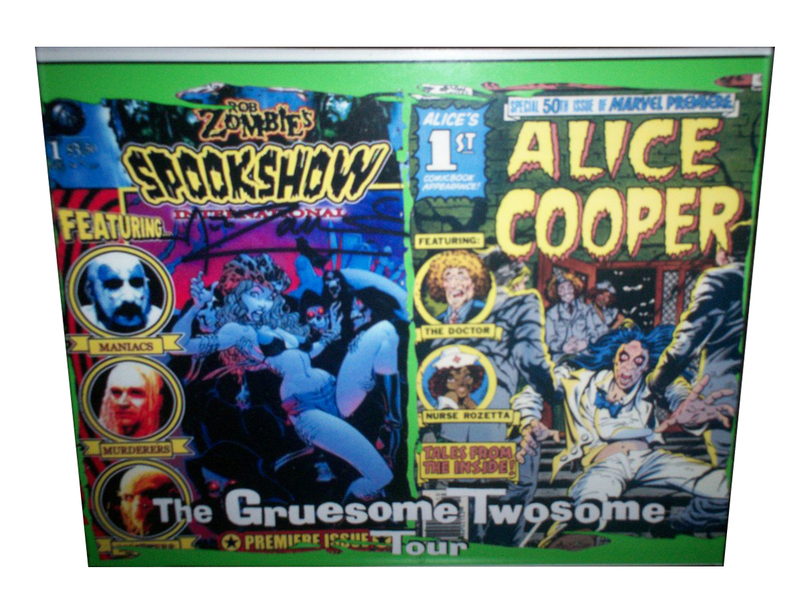 Question: You've toured with Ozzy Osbourne and now Alice Cooper, which has been the wildest for you? Rob Zombie: Alice is everything to me. I like Ozzy, but Alice was the person I grew up loving and he set the standard for live shows. So, I think that I would give Alice everything over Ozzy on that front. Everything about him is the best. Question: Did Alice get you to golf yet? Rob Zombie: No, Alice goes golfing all the time, but I don't go with him 'cause I don't golf. You know? I'm not gonna go there and goof around. Question: What can we expect from the Gruesome Twosome? 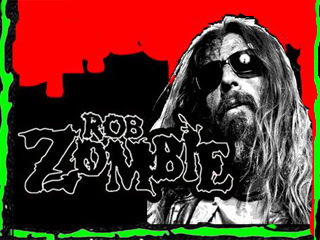 Rob Zombie: We've decided in a very humble manor that this will be the greatest rock and roll show you will ever see! EVER! And if you think you'll ever see a better one, you are sadly mistaken. After the interview Rob Zombie gave me a signed picture and then went on his way to prepare for the show. 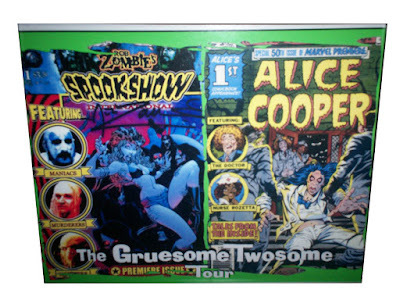 I brought a few friends to the Gruesome Twosome tour that night and Rob Zombie and Alice Cooper really did put on an amazing show! If you ever get the chance to see these guys perform, go for it! It's not even my type of music, but I could appreciate the show they put on for their fans. It really is worth the price of admission. Here is a clip from the interview where Zombie talks about his Halloween movies and why he enjoys making comics, enjoy! Batman must face the strangest and most bizarre adventure of his career, as he meets comics' strangest and most bizarre hero... THE MAXX! IDW and DC Comics proudly present the most surreal, quirky, and wonderful crossover of all time! A devious new doctor at Arkham Asylum is conducting unconventional experiments into the human psyche, and he kicks off a chain reaction of disaster when he experiments on Arkham's newest patient, The Maxx! The city of Gotham is starting to merge with The Maxx's psychedelic mental landscape, known as the Outback, blurring the line between real and unreal. 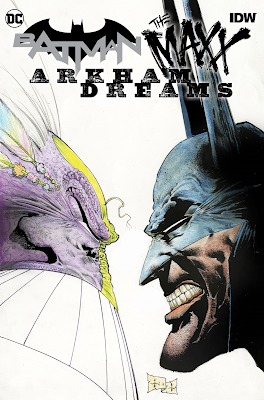 It's up to Batman to save not just Gotham, but all of reality, and he and The Maxx are going to have to travel through some of the darkest places imaginable-the twisted minds of Batman's greatest enemies! Join Batman and The Maxx on an off-kilter and unforgettable romp through the diabolical consciousnesses of Batman's greatest foes. Legendary artist Sam Kieth (Sandman, Wolverine) returns to his greatest creation, The Maxx, and returns to Gotham as well, assisted by multi-Eisner Award-winning writer John Layman (Detective, Chew). First new The Maxx story in more than a decade! Bonus Fun Fact: Robert Englund raps as Freddy Krueger on this cut! This song was the theme song for A Nightmare On Elm Street 4: The Dream Master!